Acute granulocytic leukemia is a common form of adult-onset leukemia (cancer of the blood and bone marrow), with more than 10,000 Americans diagnosed with the disease each year. 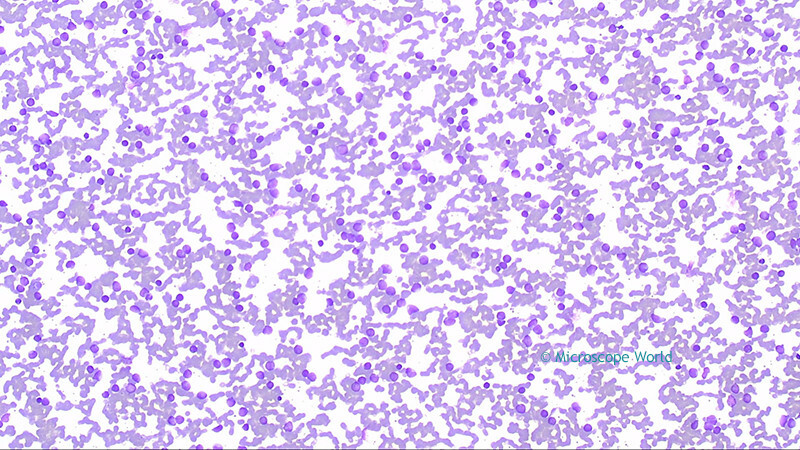 Leukemias are a group of neoplastic diseases primarily involving the bone marrow and characterized by an abnormal proliferation of white blood cells (leukocytes). 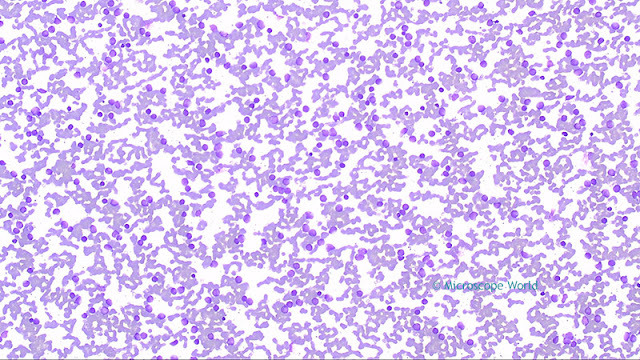 In acute forms of leukemia, the disease strikes suddenly and progresses rapidly, whereas chronic forms are much more gradual in their development. The images below are of acute granulocytic leukemia and were captured using a lab biological microscope and a high definition HD microscopy camera. 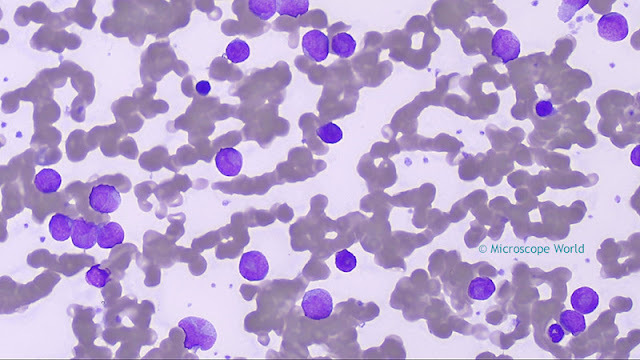 Leukemia captured under a clinical microscope with an HD microscopy camera at 40x. 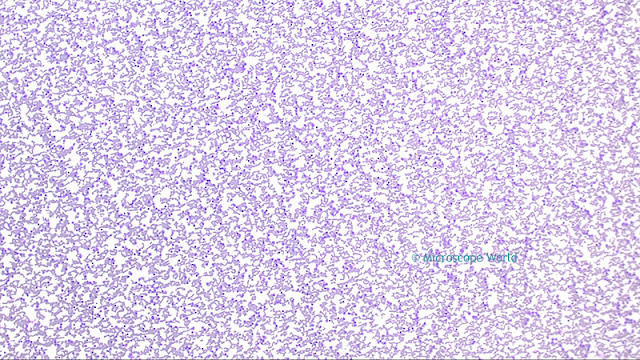 Leukemia captured under a clinical microscope with an HD microscopy camera at 100x. 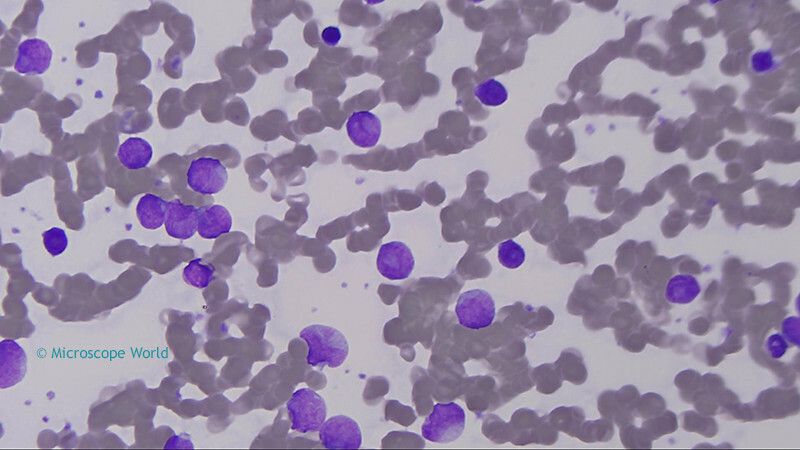 Leukemia captured under a clinical microscope with an HD microscopy camera at 400x. 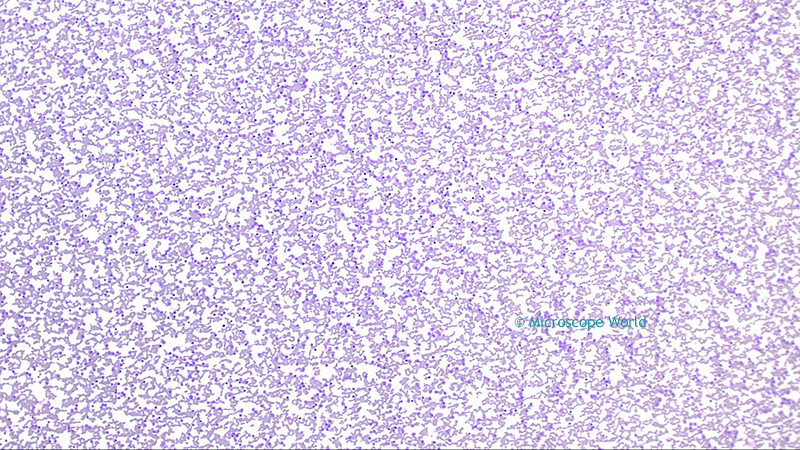 Leukemia under a clinical microscope with HD microscopy camera at 400x using Plan Apochromat Fluor objective lens.